Modern unibody pickups from Ford have generally been based on compact front wheel drive platforms and only sold in developing markets. Still, they make sense in a lot of ways—check out this story David Tracy did a while back about the Honda Ridgeline and you’ll get it too. The new Ford truck, which some speculate could be called the Courier will be front-wheel drive but will expand globally to include markets such as the U.S., according to a social media post for a Ford engineer. In addition to the information from the post, a source at Ford tells us that development is tied to the development of the Transit Connect and that the new truck will have a wheelbase that is between 120 and 122 inches—which is very similar to the 120.6-inch wheelbase of the current Transit Connect LWB. This should put the wheelbase of the truck at about half a foot shorter than the Ranger and make it in line with a first generation Honda Ridgeline, or an early 2000s Toyota Tacoma. The Ford unibody pickup should be about this size. We also learned that this truck will only come as a four door model, so it is likely to have a short bed since the overall length of trucks with a similar wheelbase. That usually ends up at just over 200 inches, but it does mean that we could have a truly compact truck on the market. All the usual Ford truck trims should be present, including a base work truck version, but there is no word of any performance or off road versions at this time. Since the current Transit Connect is based on the Focus platform we can speculate that this new truck and the upcoming Transit Connect will likely be based on the new Ford C2 platform which underpins the Focus that is available elsewhere in the world. The exact platform code for this pickup is P758 and according to internal documents at Ford, there is also a crossover in the works that will share the same wheelbase and powertrain as the pickup which has received a code of CX758. According to our source, there will be two familiar engines available which can currently be found in cars such as the Fusion and Escape. The standard engine will be a 2.0-liter EcoBoost turbo four and we can expect that it will likely have specs similar to the Escape. That means it should come in at around 245 horsepower and 275 lb-ft of torque, which should slot it nicely below the Ranger which produces 270 HP and 310 lb-ft from its 2.3-liter EcoBoost engine. 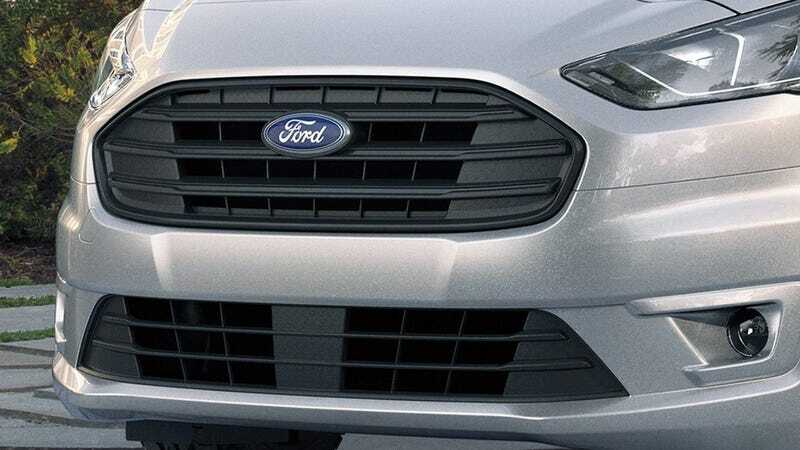 The other engine option should be a 2.5L hybrid which is likely to be a refreshed version of the Atkison cycle engine and electric motor combo that is currently in the Ford Fusion Hybrid. They should combine for just under 200 horsepower and very good fuel economy. The pickup will be available in front- or all-wheel drive configurations, but it is not clear at this time if both engine options will be available with both drivetrain configurations. According to the social media post mentioned earlier, at least some development of this pickup such as NVH assessment is happening at Ford Otosan in Turkey. The Ford Otosan team that is working on the new pickup has previously worked on the Transit Courier and the H62X Cargo truck so they have a wide range of experience in the truck and utility segment. Production is slated to start in Hermosillo, Mexico in late 2021 so we are likely to see the reveal of this truck sometime in 2020. That plant has been producing the Fusion which uses both of the engines that should be going into the new pickup so retooling should be pretty efficient. Could this be the answer to everyone’s small truck prayers, even if it’s unibody? We’ll find out soon.